Discussion in 'Auto News' started by GTPNewsWire, Feb 7, 2019. This article was published by Kyle Patrick (@SlipZtrEm) on February 7th, 2019 in the Automotive News category. No, JLR, you can try to misdirect our attention however you want but we’re not going to forget that you weaseled out of making the Range Rover coupe. Now we're talking. 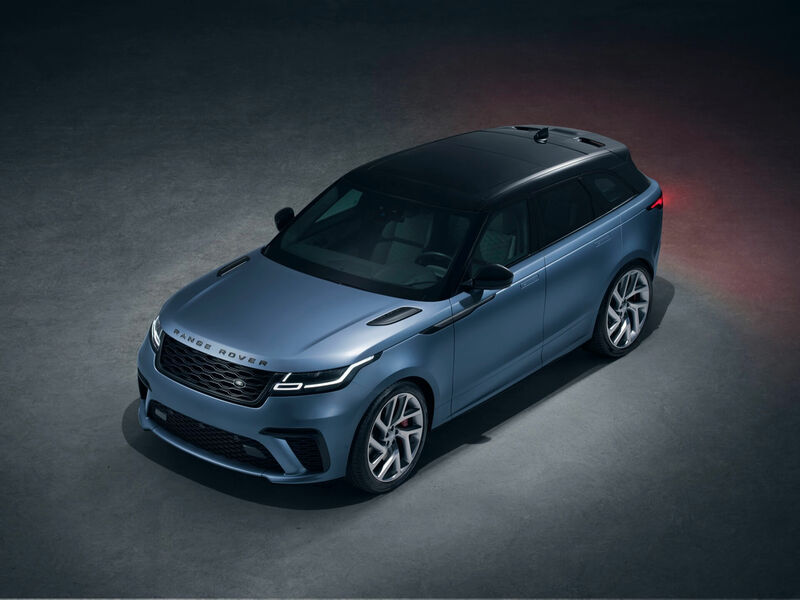 I already liked the Velar and the Sport SVR, so now it's one package and instantly desirable. Those wheels need to be swapped out ASAP. The Velar is a good looking car just needed a little bit more sportiness visually and this has done the job. The only thing that's slightly odd imo is the exhaust pipes, they look like a 3rd party rice job, odd shape and too big. I like everything about this, the regular Velar looks great in the metal and beefing it up a little has really enhanced the styling. I'll take one in black with black wheels, please.